National Roofing Contractor Of The Year Award! Don Kennedy Roofing is your premier Nashville roofing company. We offer superior quality among our roofing services and more importantly, our customer service. We are the name you know, with the experience you trust. Each and every roof is installed by our expert foremen, ensuring the highest integrity and greatest value of your roofing system. We treat each homeowner and business owner with the utmost respect and are honored to serve as Middle Tennessee’s Most Trusted Roofing Company. We invite you to join our growing family of satisfied customers since 1978. Why choose anyone else other than Nashville’s most trusted name in roofing? We are Don Kennedy Roofing, and we are here to serve you. I have been very pleased with my interactions with Don Kennedy Roofing. They did not try and over sell me. The price was fair and their staff was professional. They delivered what they promised. That is a rare quality today. I would have no one else work on my roof or gutters! Don Kennedy Roofing is a wonderful company and takes excellent pride in their work. When you need the best - call this company. You will not be disappointed! We couldn't be happier with our experience. Shane is an extremely nice guy and fantastic source of advice and information. David and his team did a great job. Excellent communication every step of the way. Great experience from start to finish. Very comfortable with their knowledge and explanation of the product and process. Used high quality materials and felt better using a company with a long history and good reputation. We had a great experience with them replacing our roof and adding ridge vents about a year and a half ago. They worked quickly and did a quality job. Their customer service is outstanding as well. I would definitely work with them again in the future and suggest others to do so as well. Highly recommended. Excellent communication with the company from Day One. Work was done to my complete satisfaction. Job superintendent was very professional, coordinated follow-up with minor corrections by the crew. We recently had a repair done, and they did a terrific job!! They are very professional, and gave us a very fair price. Don Kennedy Roofing is the best roofing contractor in Tennessee. We would never even consider using another roofing contractor. Don Kennedy Roofing has been great to work with. They evaluated my roof problems and proposed solutions that fit in my budget. They came and repaired my roof leak and were very careful with the gutters and landscape. I recommend them for all roofing and gutter needs. National Roofing Contractor of the Year Award!! Don Kennedy Roofing was started in 1978. Since then, our family owned business has continued to grow because we treat your family as our own. We stand by our customers and our expert craftsmanship where we can serve all of your roofing needs. Earning accreditation in 1994, Don Kennedy Roofing maintains an A+ with the Better Business Bureau and continues to excel in customer service and satisfaction. It all started with Don Kennedy and a dream. At 19 years old, Don dreamed of a way to serve his community while using his love for construction and architecture. He started a business out of his house and was pleasantly surprised when his humble business grew substantially all through word-of-mouth. Nashvilliains came to know Don by his truck. Still to this day you can find Don visiting job sites and our long standing customers. 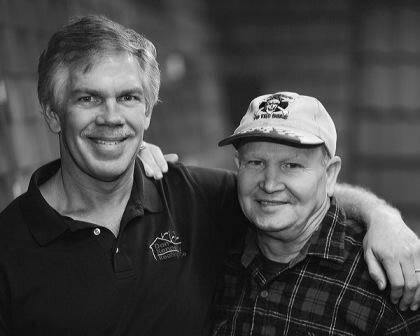 Don Kennedy has taken his love for his family and his love for his business to ensure that Don Kennedy Roofing stands the test of time. You can find the Kennedy’s two adult sons running substantial parts of the business alongside Don and his wife, Debbie. The Kennedy’s constantly evolve to stay the premier roofing company in Nashville while continuing to offer only the best in roofing services. At Don Kennedy Roofing we believe in serving our customers so they can continue to serve our great city without any obstacles or worry. Servant leadership is a core value of ours that is evident in every Don Kennedy Roofing employee. Our humble team holds leadership positions within our company and our community. Don Kennedy currently presides on the board of the NRCA – National Roofing Contractors Association as well as a board member of the Better Business Bureau. 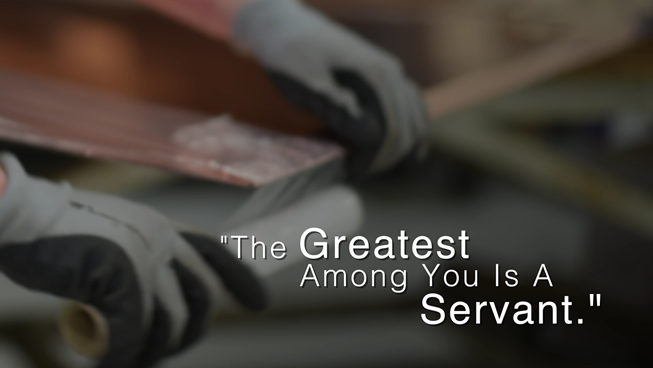 Each team member at Don Kennedy Roofing strives to offer the best in customer service, and works to emulate the bible scripture “he that is greatest among you is a servant.” Each one of us, here at Don Kennedy Roofing, truly has a servant’s heart. Let us continue to serve our community by starting with you. Don Kennedy Roofing creates a unique workplace environment, unlike any other in the roofing industry complete with a state of the art metal fabrication shop on site and our very own Gilbert Davis Training Facility. Named one of Tennessee’s top workplaces, Don Kennedy Roofing hires only the best in the roofing industry. Whether you are a roofer by trade, a sheet metal fabricator, or experienced in roof repair and facilities services, we want to make you a part of our team! Don Kennedy Roofing proudly serves the Middle Tennessee and Nashville area in commercial roofing and residential roofing, sheet metal roofing, gutter systems, and metal fabrication. In addition, our roofing experts excel in roof repair for commercial roofing, residential roofing, and metal roofing. We utilize quality roofing products and offer customer service that is unmatched in the roofing industry. At Don Kennedy Roofing, we take pride in getting the job done right, the first time. You can place your confidence in our expert knowledge and rigorous training. By providing extensive in-house training and education from affiliated manufacturers on a continuous basis, we ensure our team is up to date on knowledge and techniques currently used in the roofing industry. Our commitment to excellence ensures that every detail is a priority, protecting your home and your business. Our premiere customer service experience is the backbone of Don Kennedy Roofing. Every person involved in your project from beginning to end is there to serve you and that is why we are a standout among our competitors. We put you first. We can service any project – no matter how big or small.